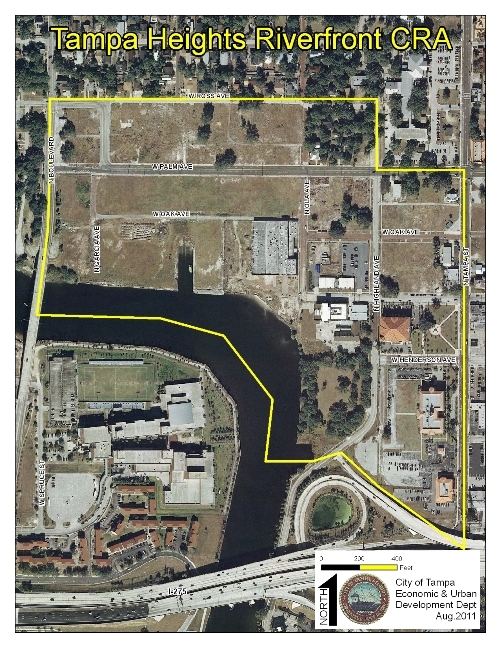 The Heights of Tampa was intended to be a mixed use residential and commercial real estate development just north of downtown Tampa until it fell victim to the real estate collapse of 2008. The development contemplated converting a large stretch of riverfront property, including an old trolley barn called the Tampa Armature Works Building, into a vibrant area for new restaurants and shops - and all with an amazing view of downtown Tampa. As written about in the St. Petersburg Times on August 26, 2011, the project fell into Chapter 7 bankruptcy in mid-summer 2011. The project appeared dead … until now. The entity that owned the development – The Heights of Tampa, LLC—filed for Chapter 7 Bankruptcy protection on July 29, 2011, Case No. 8:11-bk-14608-MGW. The case was assigned to Leavengood, Dauval and Boyle, P.A. partner and Chapter 7 Bankruptcy panel Trustee, Richard M. Dauval. From the court record it is noted that the auction of the Tampa Armature Works building took place on September 13, 2012. The record indicates that the property/building sold to Riverside Heights Holdings for $1.61 million. It is noted that Riverside Heights Holdings is one of the creditors of The Heights of Tampa. It is unclear whether this signifies a new beginning for The Heights of Tampa or an entirely new project for the area.